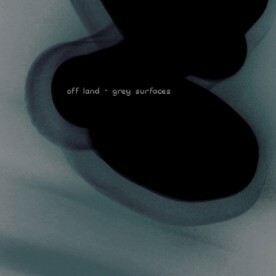 With “Grey Surfaces” Tim Dwyer, the person behind Off Land, is back on Resting Bell with another beautiful release. The release contains five new compositions by Off Land and two remixes, done by Placement and Ennio Mazzon. 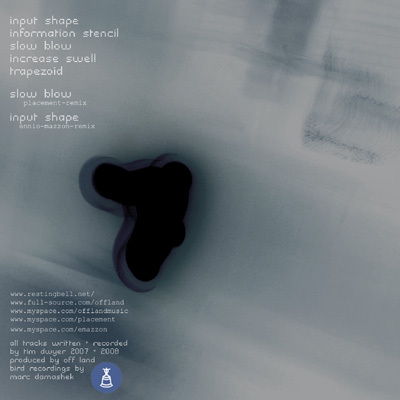 Compared to his last release “Encounter Point” “Grey Surfaces” is much more reduced, compact and monolithic. Each track has a kind of deep fundamental droning with field-recording fragments, shifting melodies and glitches in addtion to it all. The release is carefully arranged and placed to a single peaceful 40-minute voyage. The two additional remixes give the tracks a slightly new coat of paint, leading to a noisier, harsher direction, but treat the source material with respectfulness and understanding.